We always say that karma is instant or "Digital Karma" for Millennials, that was what happened to a man when he tried to shoot an Armadillo, which has a leathery armour shell. A man in East Texas who tried to shoot an armadillo inside his yard was wounded when the bullet bounced back to hit him in his face. According to Cass Country Sheriff Larry Rowe, the man who was not identified went outside of his home in Marietta southwest of Texarkana when he spotted the small animal around 3 a.m. on Thursday morning. He got his .38 revolver and shoots the "trespasser" for three times, but at least one bullet bounce back off the animal's hard shell into his face and hitting him in the jaw. After the incident the man was immediately airlifted to a nearby hospital in the city of Texarkana. The police said that his jaw had to be wired shut. 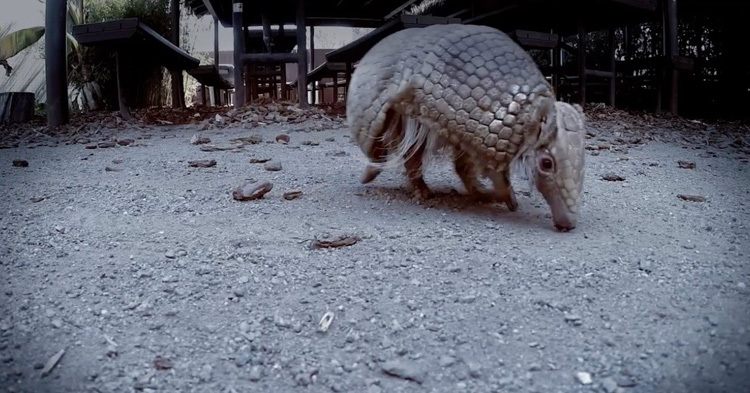 The status of the armadillo is unknown since the June 29 incident, whether he survived or what. 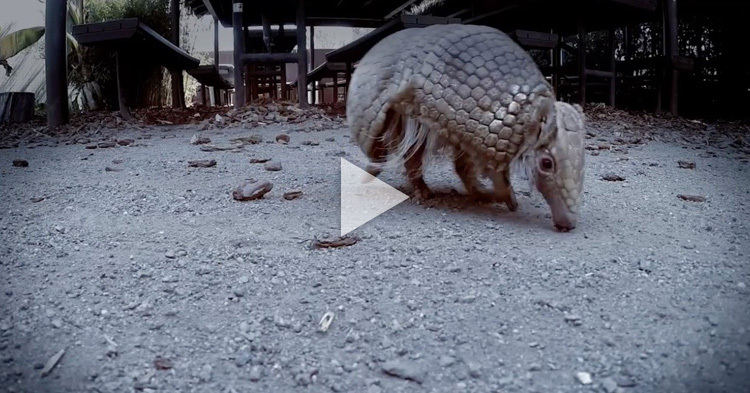 This is not the first time that someone was hit by shooting an armadillo. Armadillos are New World placental mammals with a leathery armor shell. Armadillo is a Spanish word meaning "little armored one" and refers to the bony plates that cover the back, head, legs, and tail of most of these odd looking creatures. Armadillos are the only living mammals that wear such shells. Larry McElroy, 54-year-old from Leesburg, Georgia, accidentally shot his mother-in-law when he fired his 9mm into the armadillo. The bullet bounced off into the armadillo’s shell hit the fence, went through the back door of his mother-in-law’s mobile home and struck the 74-year-old Carol Johnson recliner where she was sitting. She was struck at her back. According to the police, the shooter was about 100 yards away from his mother-in-law's home. Fortunately, Carol was not severely injured and the armadillo was found dead after that.